Inferno Music Video for Guardians of the Galaxy Vol. 2! Watch the Full Inferno Music Video for Guardians of the Galaxy Vol. 2! Guardians of the Galaxy Vol. 2 director James Gunn has revealed the full Guardians’ Inferno music video from the Digital HD, Blu-ray, DVD and 4K Ultra HD release! 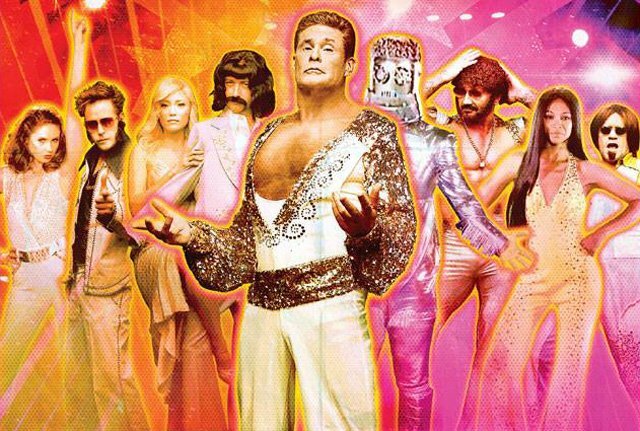 By The Sneepers and featuring David Hasselhoff, the Inferno music video includes Dave Bautista, Pom Klementieff, Sean Gunn, Zoe Saldana, Karen Gillan, Michael Rooker, Stan Lee, Chris Pratt, and, even Guillermo. The song, from the soundtrack to the film, was played during the credits and features lyrics like “Getting down and dirty with a procyon lotor. Got no people skills but he’s good with motors.” The song was co-written by James Gunn and score composer Tyler Bates. Set to the backdrop of Awesome Mixtape #2, the Guardians of the Galaxy sequel continues the team’s adventures as they traverse the outer reaches of the cosmos. The Guardians must fight to keep their newfound family together as they unravel the mysteries of Peter Quill’s true parentage. Old foes become new allies and fan-favorite characters from the classic comics will come to our heroes’ aid as the Marvel cinematic universe continues to expand. You can read more about the Guardians of the Galaxy Vol. 2 August 8 Digital HD release and August 22 Blu-ray, DVD and 4K Ultra HD release by clicking here. What do you think of the Guardians’ Inferno music video? Let us know in the comments!